Covent Garden Honey Co-Op Crate. Fabulous single vintage style box. Superb quality hand crafted solid wooden crate with metal straps. Great for Household storage hampers or gifts. 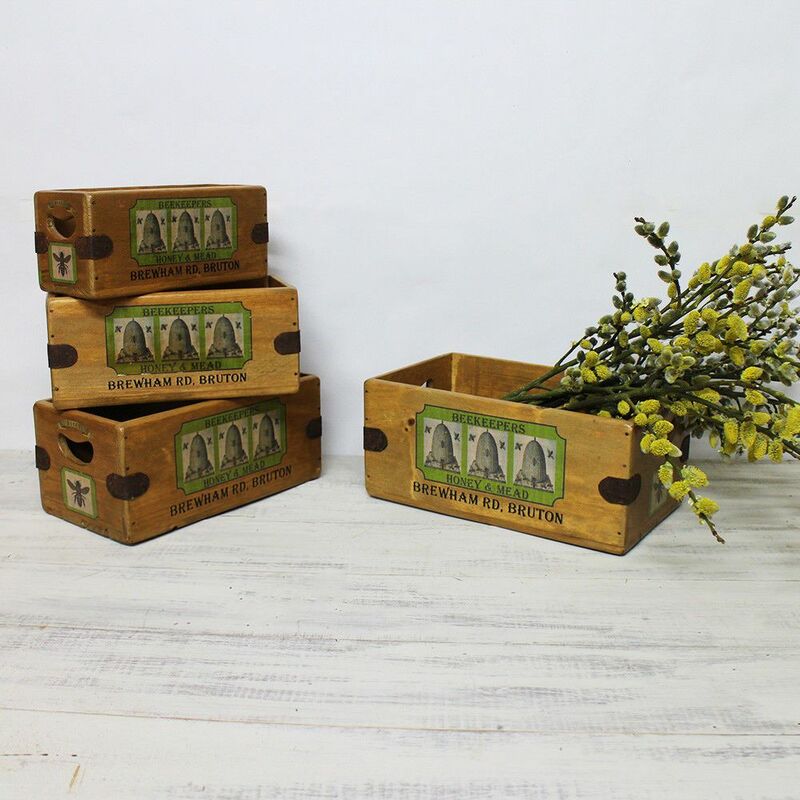 These solid pine boxes feature or own range of unique prints & designs. Four Sizes to Choose Take you pick from the drop down size menu. Sets are available please ask if you cannot see them listed.